Photographer Eddie Lee has published Timeless American -- A Selection of Pre-1916 Motorcycles, a 264-page case bound 14x11-inch book showcasing 46 motorcycles from 26 manufacturers including Indian, Harley-Davidson, Excelsior, Thor, Henderson, Flying Merkel, Marsh Metz, Hudson, Pope, Marvel, Reading Standard, Emblem, Cyclone and more. 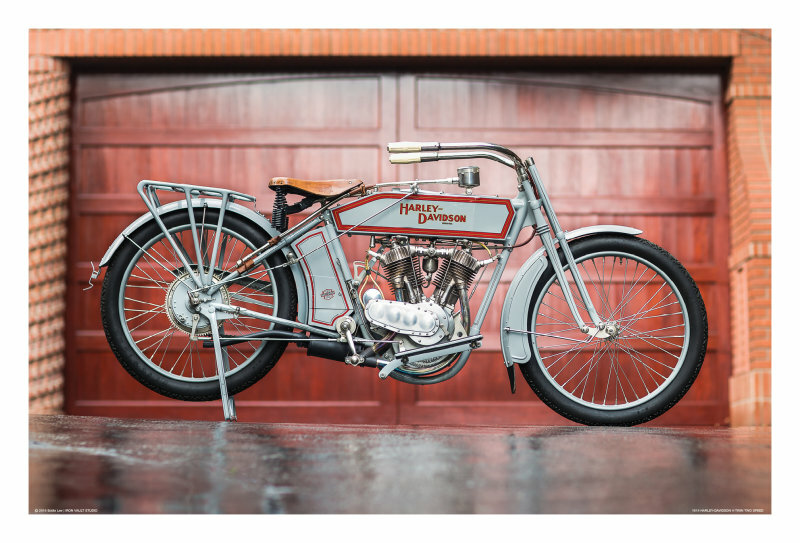 "After talking to some serious collectors and a handful of guys who really loved these older bikes, I realized that it would be special to do something more specific than just a general book with a random selection of motorcycles," Lee said. "In a way, it pays homage to these great pioneers, innovators and engineers who paved the way for us today. It also illustrates the impeccable craftsmanship and skills from some of the restorers and their dedication to the preservation of these timeless antiques," Lee said. "It's almost a lost art and I really wanted to showcase it in a very rich, visual way." It took Lee 10 years to complete the project, shooting two bikes a day for two years and designing and laying out the book. Which calls for a party. 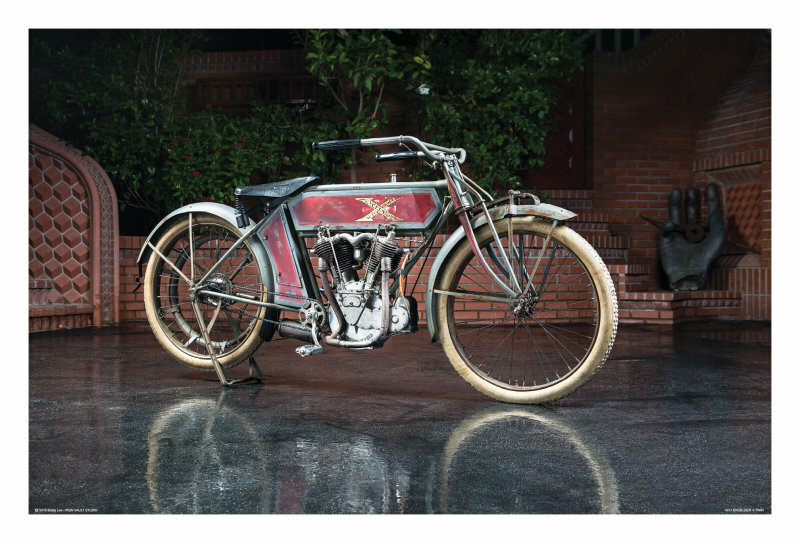 The public can meet the photographer at a special launch party for the book on Oct. 8 at the Venice, Calif. headquarters of Deus Ex Machina. Details in the news release below. Meanwhile enjoy the slide show of select images Lee made available to us. One of the more important features of this project for Lee was everything was American made, honoring the history of the collection. From the bikes themselves, to the process of creating it, to the printing, everything was done on American soil. 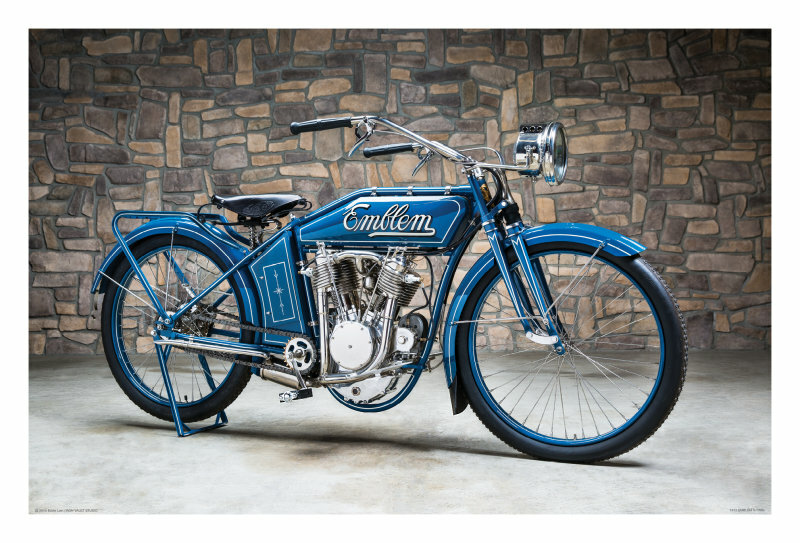 LOS ANGELES -- Photographer, designer and creator of Iron Vault Studio, Edward (Eddie) Lee, has announced the publication of his highly anticipated coffee table book, Timeless American -- A Selection of Pre-1916 Motorcycles. 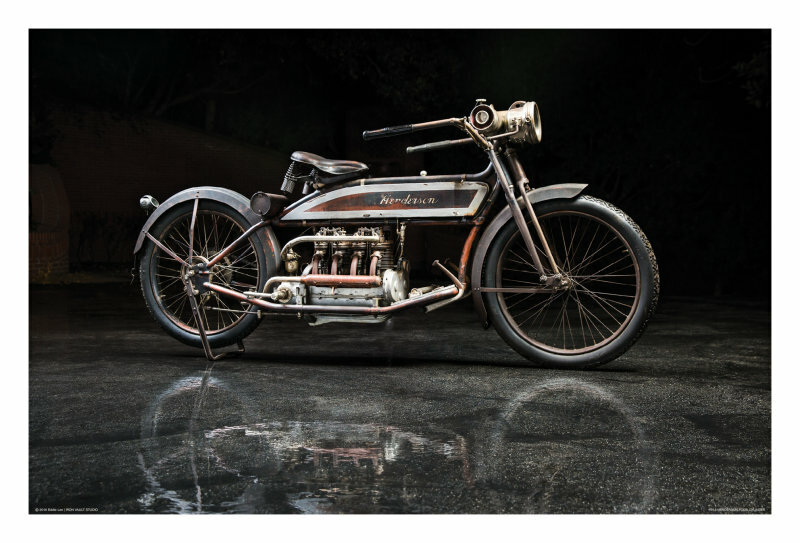 The public can meet the photographer at a special launch party for the book on Oct. 8 at the Venice, Calif. headquarters of Deus Ex Machina. A decade ago Lee was offered the opportunity to document and photograph a large collection of motorcycles. 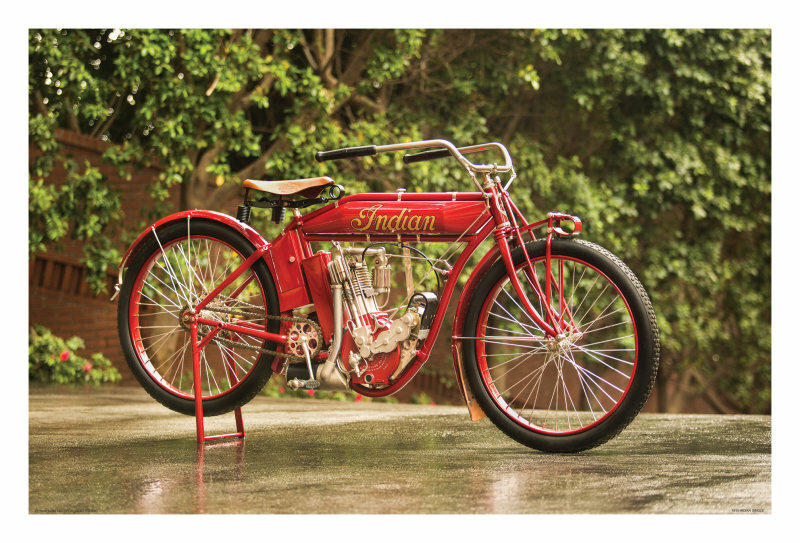 At the time, he was in the midst of a nearly 20-year career in the action sports industry and, noticing that the majority of bikes were antiques, realized he couldn't devote the amount of time he knew he would need for a project that was as unique, collectible and memorable as the bikes themselves. But the seed was planted. Aiming to honor the history and craftsmanship of each bike, he finally left action sports behind to focus solely on this dynamic project. 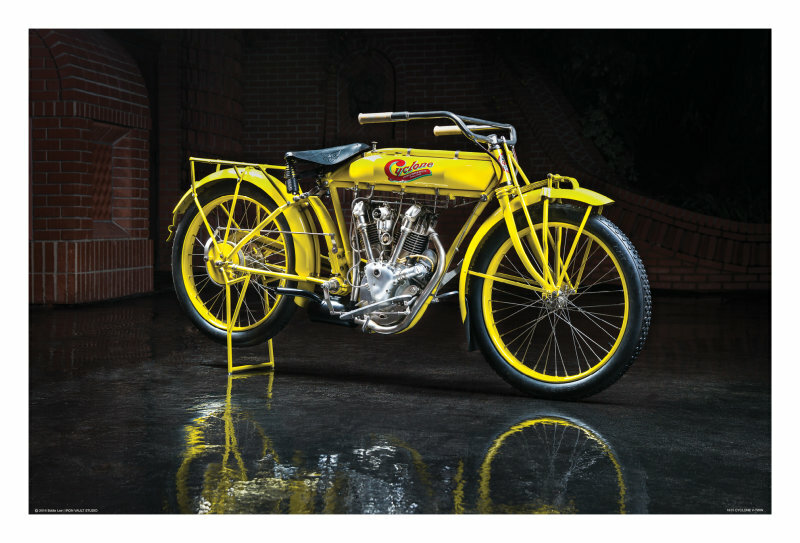 Taking more than two years from start to finish, Lee has truly memorialized each bike found within Timeless American's pages, painstakingly celebrating the story and evolution behind each piece of machinery. "After talking to some serious collectors and a handful of guys who really loved these older bikes, I realized that it would be special to do something more specific than just a general book with a random selection of motorcycles," Lee said. "Being a motorcycle enthusiast, it was important for me to share my views visually, to try and get as much information as possible and share just enough for anyone else to dive deeper, if they wanted to. I think it's important to know where motorcycles have come from and how they've evolved over the years." 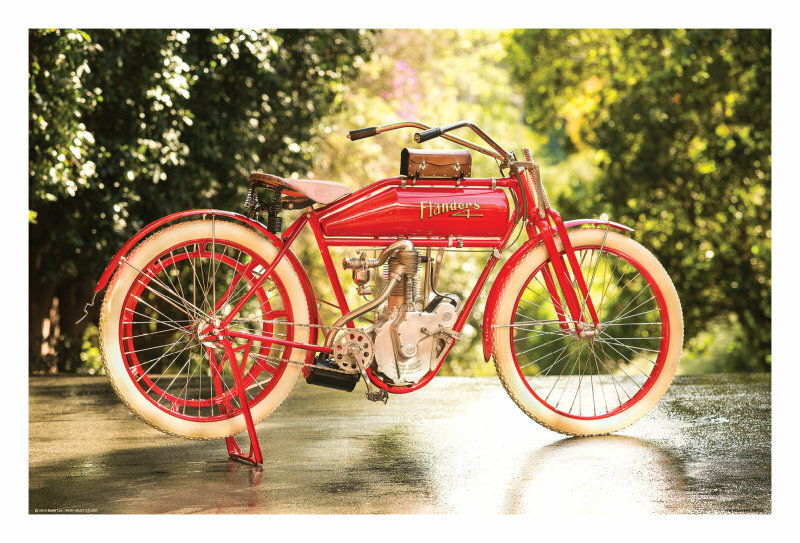 After 10 years of visualizing and nearly three more of hard work and painstaking dedication to detail, Lee completed the 14x11-inch landscape-style collectible edition of Timeless American -- A Selection of Pre-1916 Motorcycles, produced and printed in the United States. 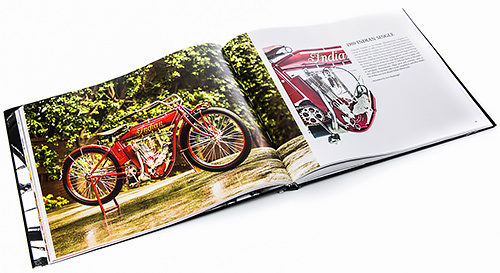 The hard cover case bound book has 264 pages, each filled with beautiful imagery of the classic craftsmanship of mostly cruiser bikes, circa 1900 to 1915 -- single, V-Twin and four cylinder engines. 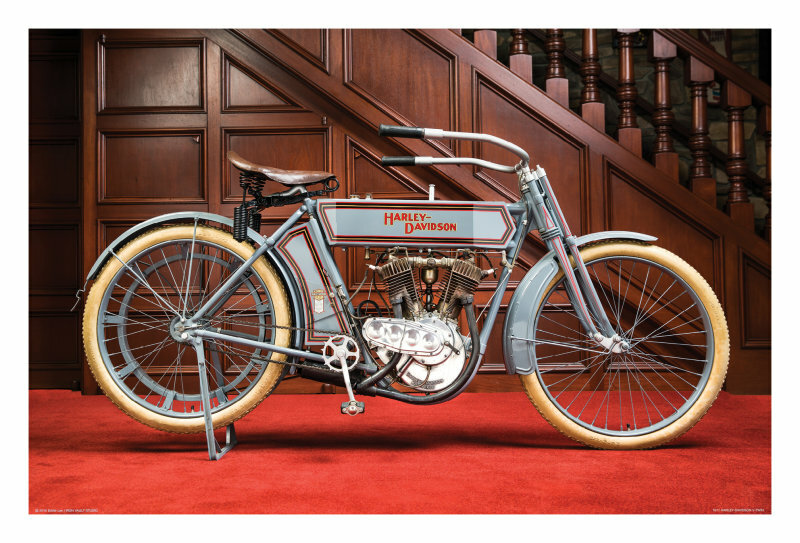 Lee showcases 26 manufacturers, with 46 motorcycles, displayed in chronological and alphabetical order, including Indian, Harley-Davidson, Excelsior, Thor, Henderson, Flying Merkel, Marsh Metz, Hudson, Pope, Marvel, Reading Standard, Emblem, Cyclone and more. For Lee, one of the more important features of this book was that everything was American made, honoring the history of the collection. 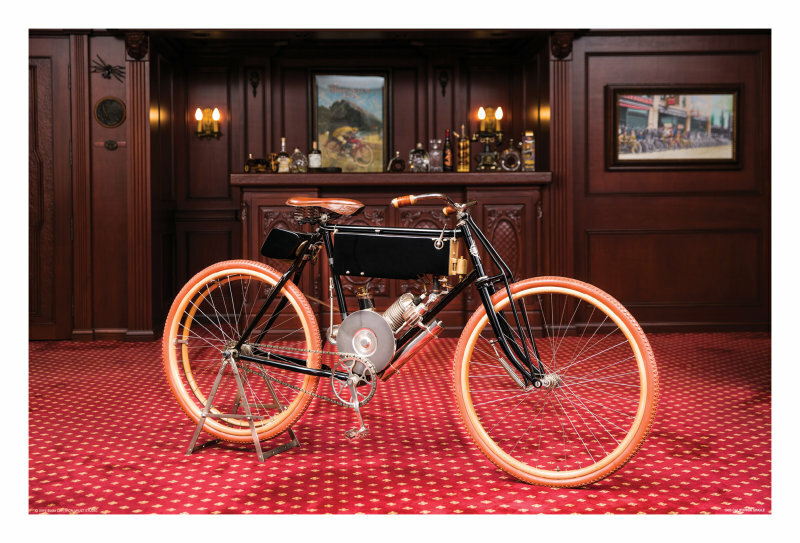 From the bikes themselves, to the process of creating it, to the printing, everything was done on American soil. Lee shot an average of two bikes per day. The entire shoot took about eight months and post production took another six months. 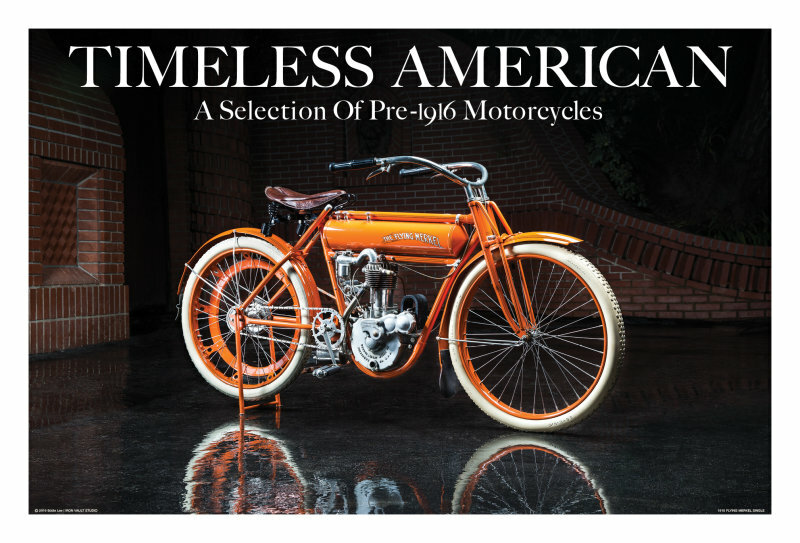 To order your limited run of the first edition of Timeless American visit the book's Web site. 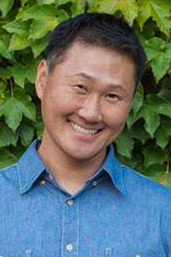 Eddie Lee is a first-generation Korean American, born and raised in Los Angeles, Calif. His need for all things fun led him to follow his passions early on in life. These came in the form of anything that rolled, slid or floated -- surfing, skateboarding, snowboarding and, of course, riding motorcycles. At the age of 18, Eddie began a nearly 20-year career in the action-sports industry. Eddie's images have been published in national magazines and newspapers, including TransWorld SNOWboarding, Snowboarder Magazine and the Los Angeles Times.